Subscriptions for the september session are now closed! An Introduction to Cloud Native IoT, Big Data, and Analytics Design. Klarrio, a cloud native IoT & Analytics Services Integrator and Cloud development project house is launching its Bootstrap academy as part of its data literacy and hiring program. 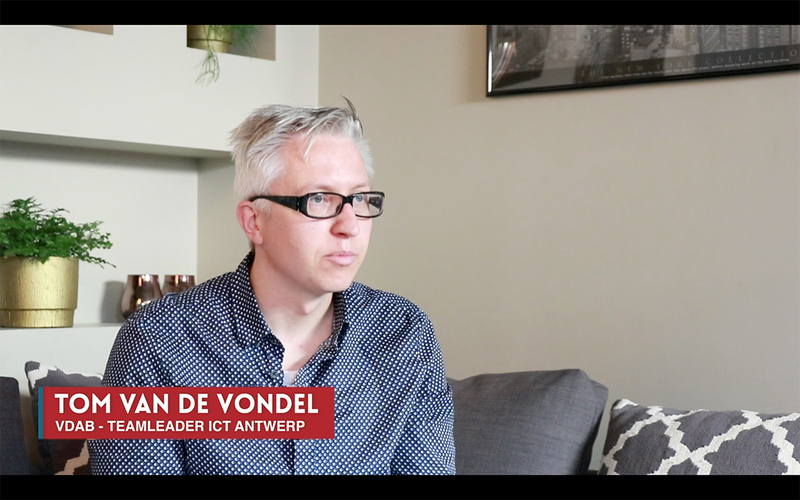 This initiative is a first in Belgium and strives to further broaden the overall cloud native skills towards motivated recently graduated students and mid-career people interested in re-training to transfer into the rapidly growing industry of digital transformation, IoT, Big Data and Analytics. This 2-month hands-on introduction course aimed at the world of Internet of Things (IoT), Big data, and analytics will help launch your career as a data-engineer. In a select group of maximum 10 students, supported by Klarrio’s team of experts, you will be completely submerged in the cloud native world and the various Klarrio domains of expertise. The AWS cloud will be your new operational environment where all the hands-on work will be conducted. The opportunity to obtain a highly valued AWS accreditation and/or certification is well within your reach. ▪ Recently graduated tech-savant students. ▪ Soon to graduate students with cloud aspirations. ▪ Job seekers towards the cloud native world. ▪ Maximum dedication and motivation to become an IoT tech geek. ▪ 10:00-16:00 onsite presence at Klarrio during the training period. ▪ In possession of a performant notebook/laptop. ▪ An inspiring techy environment with access to all Klarrio cloud experts. ▪ Training with access to AWS including learning material. ▪ An AWS accreditation and or a ‘Solution Architect’ certification. ▪ Coffee, soft drinks, and lunch. ▪ Introduction to Internet of Things, Big Data, and Analytics. ▪ Introduction to AWS, EC2, S3, and applicable microservices. At Klarrio, people are our greatest asset. When people are treated with respect and given the opportunity to develop themselves, everything is possible. You’ll be surrounded by cloud experts, IoT specialists and excellent data scientists, creating the ideal environment to enable you to transcend yourself. As a Knowledge Coach, it is my aim to catalyze the increase and exchange of knowledge in order to keep Klarrio the market leader in the Internet of Things & Analytics. ▪ Support the team in providing coaching and training. ▪ Maximize the effectiveness of the teams. ▪ Develop and maintain training modules and materials. ▪ Define training needs and the appropriate training programs. ▪ Create, foster, and maintain an inspiring and sharing culture. Klarrio organises its Bootstrap academy as part of its data literacy and hiring program. This initiative strives to further broaden the overall cloud native skills towards motivated people interested in working in the rapidly growing industry of digital transformation, IoT, Big Data and Analytics. Enter your email and we will get back to you as soon as new sessions are available!